As seasons change, the exteriors of your home accumulate layers upon layers of grime. 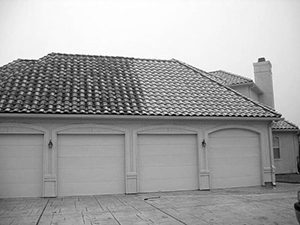 This affects not only your property’s appearance but also its lifespan. You can try hosing down the surfaces, but the process may take a lot of time and energy yet still yield mediocre results. To thoroughly clean your home’s exterior, why not invest in professional power washing services in Stark County, Ohio? Wilhelm Power Washing is dedicated to providing optimal pressure washing services in Stark County, Ohio for residential and commercial clients. If you want to add sparkle and shine to your outdoor structures, our technicians of pressure washing services in Stark County, Ohio can get the job done! Cleaning the hard, exterior surfaces of your property is not as easy as washing your dishes or doing your laundry. Without the proper equipment and knowledge, you may end up damaging your home and injuring yourself. That’s why it’s best to hire a provider of pressure washing services in Stark County, Ohio. The buildup of dirt on your exteriors can damage your property over time. You can eliminate this possibility by hiring a technician of pressure washing services in Stark County, Ohio. While performing pressure washing services in Stark County, Ohio, a professional will efficiently blast away dirt from your outdoor structures. This will prolong the life of your commercial or residential property, and by extension, protect one of your biggest investments. Power washing services in Stark County, Ohio can restore the surfaces of your home to their former glory. While performing pressure washing services in Stark County, Ohio, a professional will reduce the wear and tear of your property, improving its overall appearance. The more attractive your home is, the easier it will be to sell in the future. When you opt for pressure washing services in Stark County, Ohio, you maximize your investment by increasing your home’s value. We use environmentally friendly solutions for our pressure washing services in Stark County, Ohio. When you work with us, you don’t have to worry about harsh chemicals harming you and your environment. We don’t let just anyone perform pressure washing services in Stark County, Ohio for you. Our professionals of pressure washing services in Stark County, Ohio have been experienced in the field for more than 40 years. With their expertise, they’ll get rid of the stubborn stains and have your outdoor areas looking new again. By hiring our provider of pressure washing services in Stark County, Ohio, you can be sure you’ll get your money’s worth. Once our pressure washing services in Stark County, Ohio are done, we’ll do the little extras for you without additional fees! You don’t have to worry about cleaning up after the mess when we’re done performing presure washing services in Stark County, Ohio on your property. While you get to enjoy quality time with your loved ones, we’ll clean out your gutters at no extra cost! Want to restore your dirty siding or patio to its original glory? Our providers of pressure washing services in Stark County, Ohio can help! At Wilhelm Power Washing, we are devoted to making surfaces of homes look clean, shiny, and new. To learn more about our pressure washing services in Stark County, Ohio, visit our website at www.wilhelmpowerwashing.com. As a property owner, you want the exteriors of your commercial or residential property to always look clean and presentable. However, no matter how much you try, it’s inevitable that your home or office will become filthy. With the passing of time comes an accumulation of dust and dirt, as well as the growth of mildew, mold, or moss. These contaminants will not only make your commercial or residential property look dirty but also expose you to health risks. With us, you can be sure to receive friendly and personalized customer service. We are not a franchise, so you’ll be in direct contact with our owner, Randy Wilhelm, each time you call us for a service. We guarantee that you’ll receive only the highest level of craftsmanship from our trained professionals. At Wilhelm Power Washing, our company specializes in power washing and house painting. When you hire us, you’ll be glad to find that our experts pay great attention to detail. We do our best to ensure that you get a quality service every time. For example, first-time customers get 10% off any of our services. Every power washing service that goes over $750 gets free power edging of driveways and sidewalks! Senior citizens get discounts on whatever service they hire us for.